If you notice water coming up through drains or the toilets or showers seem to be draining very slowly, call us at Minyard Plumbing for sewer repair in Morganton, NC . Sewer Repair in Morganton – When you have a problem with your sewer line, you and your family can suffer some serious and frustrating consequences. The quickest way to know that the sewer pipe is backed up is when you see water come through floor drains or toilets. This will typically occur at the lowest point on the property, so if you have a basement or cellar, make sure to check the area for water often. 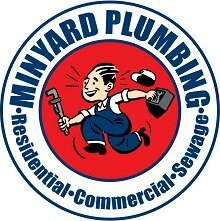 If you do notice water coming up or the toilets or showers seem to be draining very slowly, call us at Minyard Plumbing. We can give you information on sewer repair in Morganton, North Carolina and help get your home back to working order. Water damage can be detrimental to your home or business. If any water from sewage pipes gets into your carpet, the entire room of carpet must be replaced due to bacteria and risk of contamination. Water can also seep into walls, resulting in the need to replace drywall. Anywhere the water goes can also cause mold growth, which is dangerous to the health of you and your family. Mold can cause allergic reactions, including congestion, sore throats, and headaches, so call us for sewer repair right away if you notice any water. When our expert plumbing technicians perform sewer repair, they will use equipment with cameras on the end to determine what is causing the blockage. This helps our team decide the best course of action to fix the situation, whether that involves using a pump truck to clear the clog, or digging up and replacing parts of the pipe. If you need sewer repair in Morganton, NC, call us at Minyard Plumbing today! 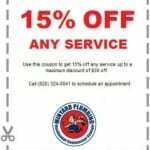 At Minyard Plumbing, Inc., we offer high-quality sewer repair services in Morganton, Hickory, Bethlehem, Conover, Lincolnton, Newton, St. Stephens, and Taylorsville, North Carolina.